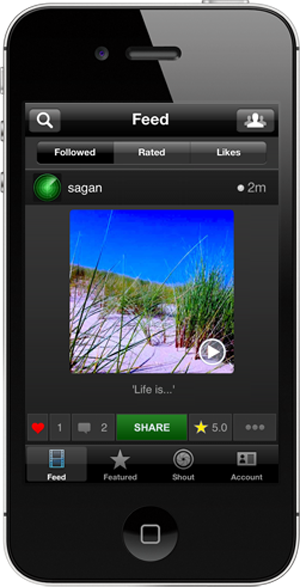 Social media network for sharing images, videos and experiences. Quickly and easily create awesome looking images and movies with effects and soundtracks. Link your account with Facebook and Twitter for single touch sharing of your Shouts with friends and family. Limitless access to much interesting and creative content, all from your mobile device.